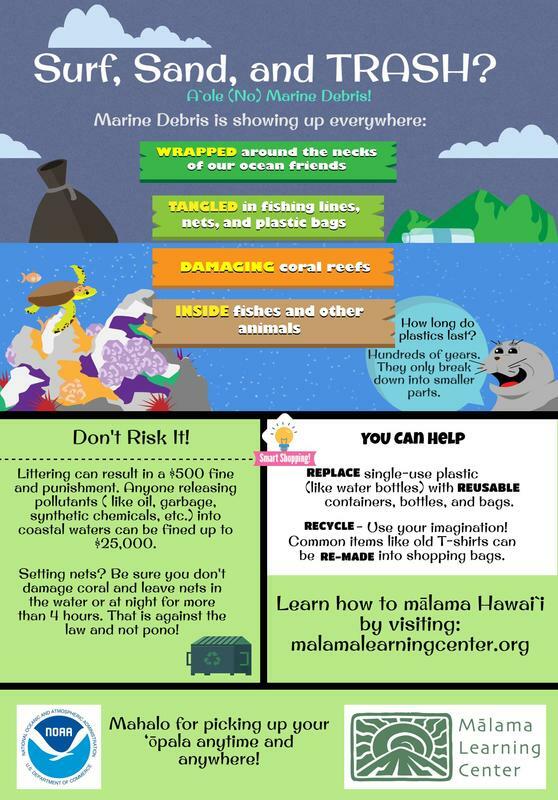 Mālama Learning Center was awarded a generous grant from the NOAA Marine Debris program to conduct various forms of outreach to Leeward O'ahu communities regarding the growing problem of marine debris. One of our products was this graphic design created by our Marine Debris Intern, Stone San Nicolas. How fortunate we were to have an intern of such talents right from the community of Kapolei! Please feel free to download the image for educational use.